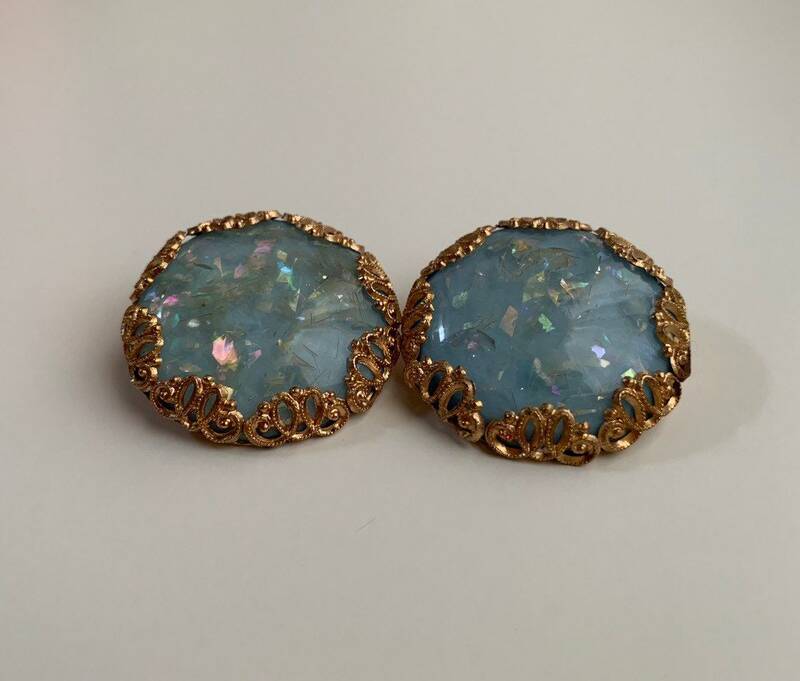 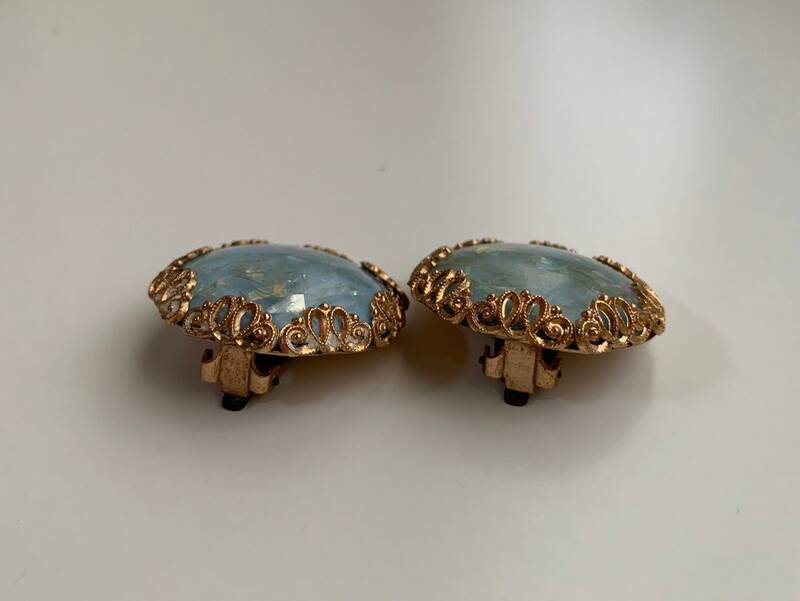 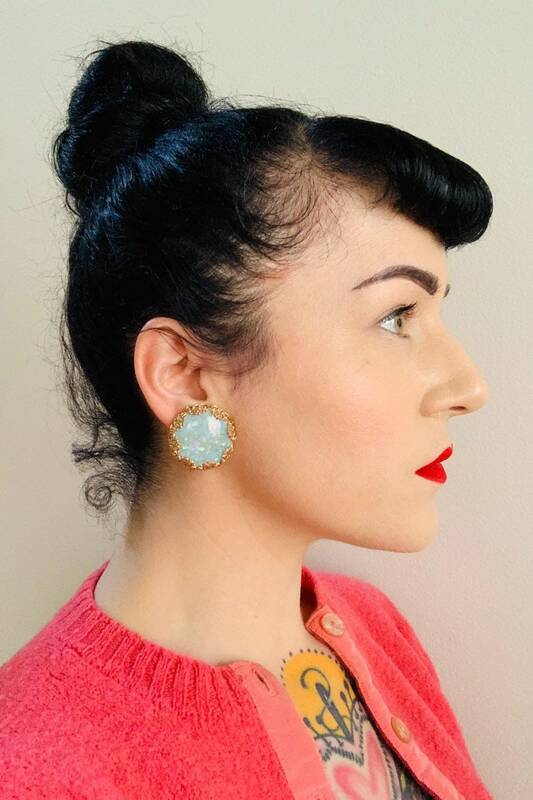 Vintage 1950s large round circle light blue glitter clip on earrings with gold metal setting. 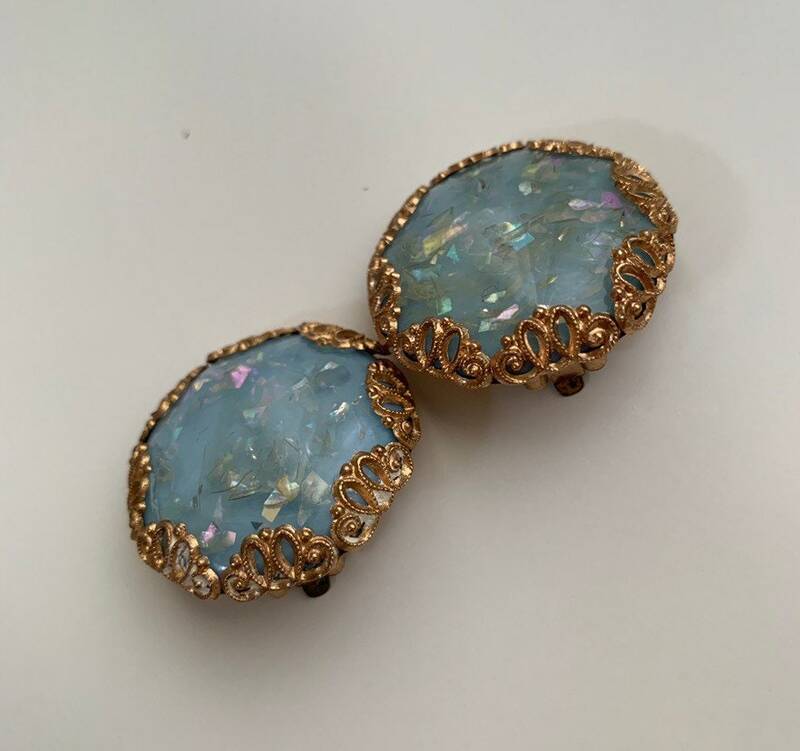 Great vintage condition; light wear from age and use. 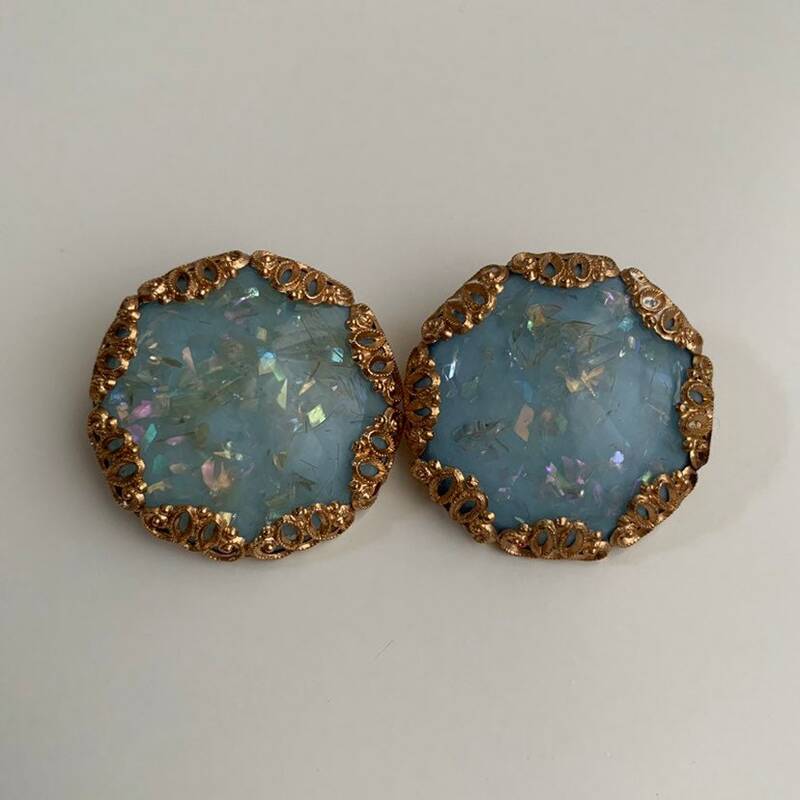 Light surface scratches on tops of earrings and light wear on metal bottoms. 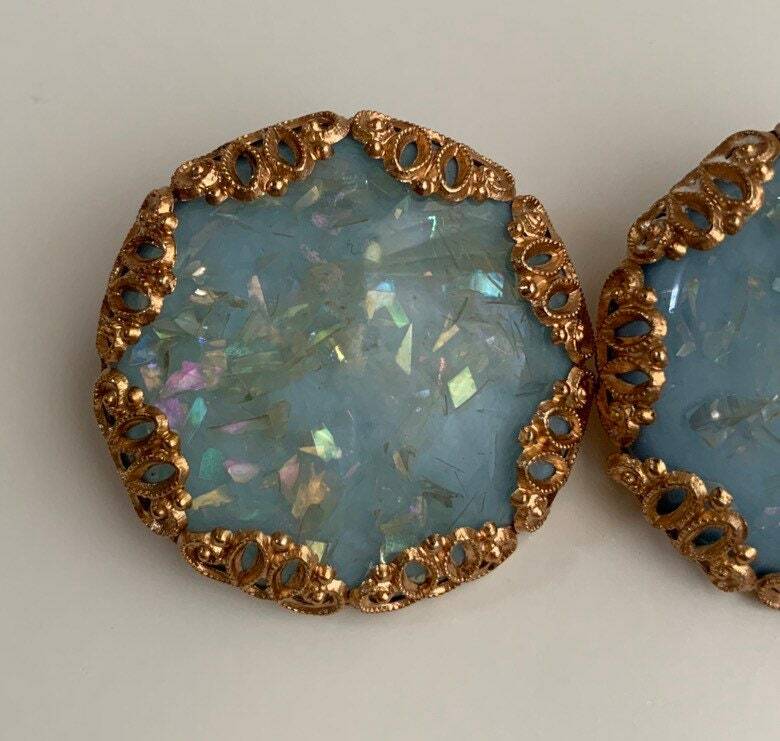 No chips, cracks, deep scratches, markings, areas of fading or discolorations, stains or other damage / issues. 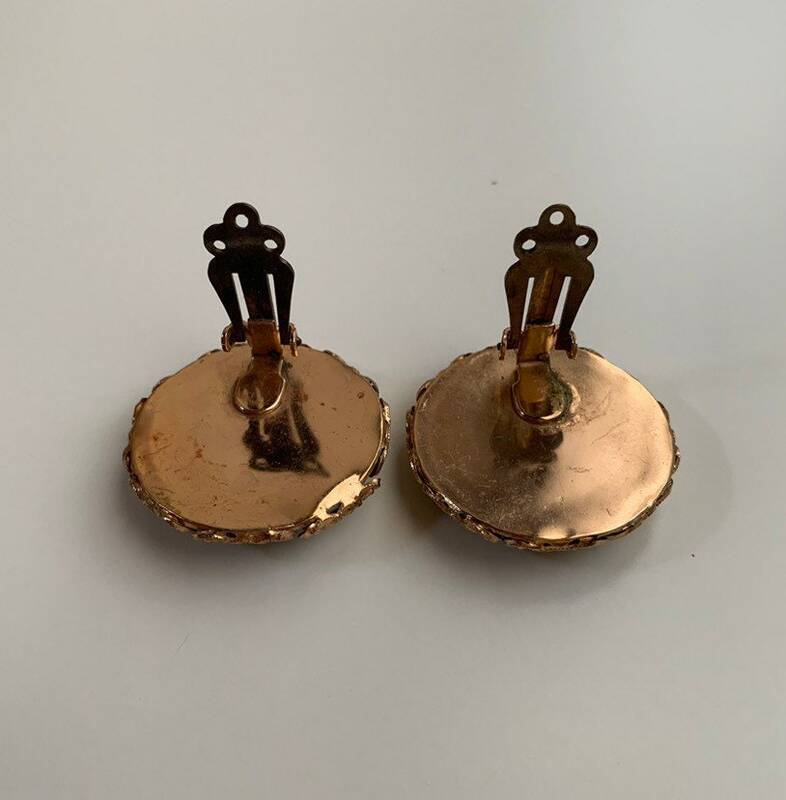 Clip-on backs are very clean overall with no rust. 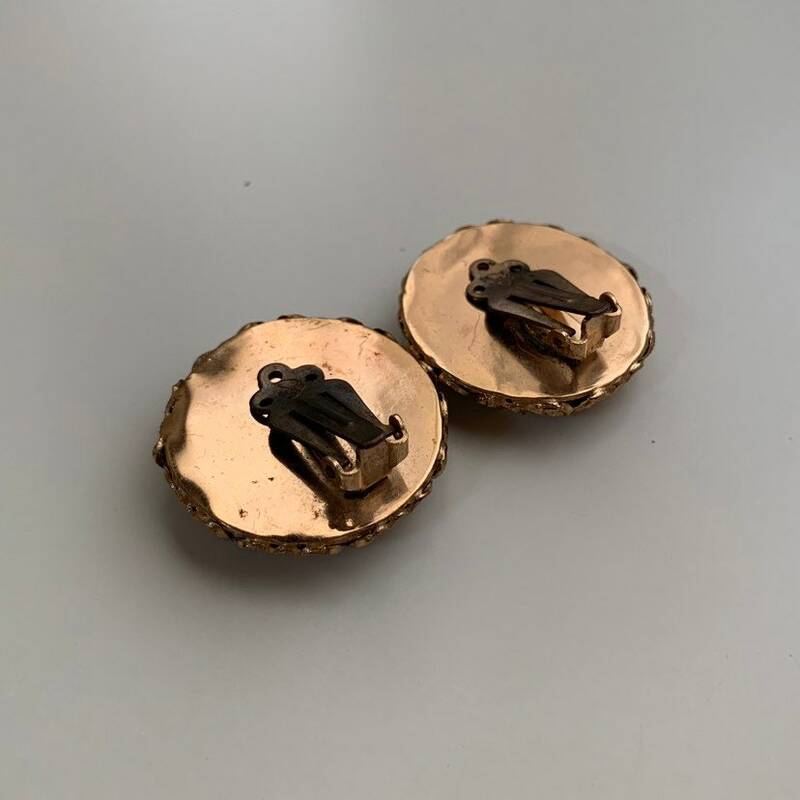 Clips open and close easily and securely.